The Australian student visa process is very time consuming and you should apply for the visa at least 3 months prior to the course start date. Besides an exhaustive list of documents, students will need to undergo health tests as well. In most cases an interview is not required. You would have to include papers that show your financial standing, how you plan to pay for your education, why you wish to study in Australia and your plans after graduation. All your previous mark sheets and degrees will also be needed. In addition to this, for an Australia student visa you will need to show an acceptable IELTS score. The Australia student visa application is confusing and tedious to many. Be very clear on the processing time for your application. Students applying for postgraduate research are classified under category 574 with an assessment level of 1 which means that the visa processing time will be around 14 days. Students applying for a primary or secondary school course are classified under category 571 with an assessment level of 2 which means that the visa processing time will be around 21 days. All other students are classified under categories 570, 572, 573 and 575 which are assessment level 3 which means it will take a whopping 3 months to get your student visa. Do keep in mind that if your institute is enrolled in streamlined visa processing you can be assessed at level 1 and therefore get your visa approved faster. 1. Pay the visa application fee and complete the form online 2. Carry the following documents at the visa application centre:- - Current and all old passports and the original visa fee payment receipt - Acceptance letter (CAS) - Evidence of income and proof that funds are immediately available to cover your education in Australia - School and college transcripts and standardized test score sheets - Medical records 3. The Australian High Commission will make a decision using the documents you submit. If required you may be called for an interview. 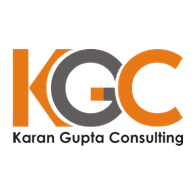 "Karan and the KGC team are excellent. Always willing to help, impartial, which I believe is difficult to find. The most attractive is the pre- departure seminar which helps students to overcome their fears. I am extremely happy with their service and highly recommendable." © 1999-2019 Karan Gupta Consulting, 44 Mitra Kunj, 16 Pedder Road, Mumbai 400026 India. All rights reserved. The GMAT®, GRE®, SAT®, ACT®, TOEFL®, IELTS®, and PTE® are registered trademarks of their respective organizations who do not support or endorse this website in anyway.